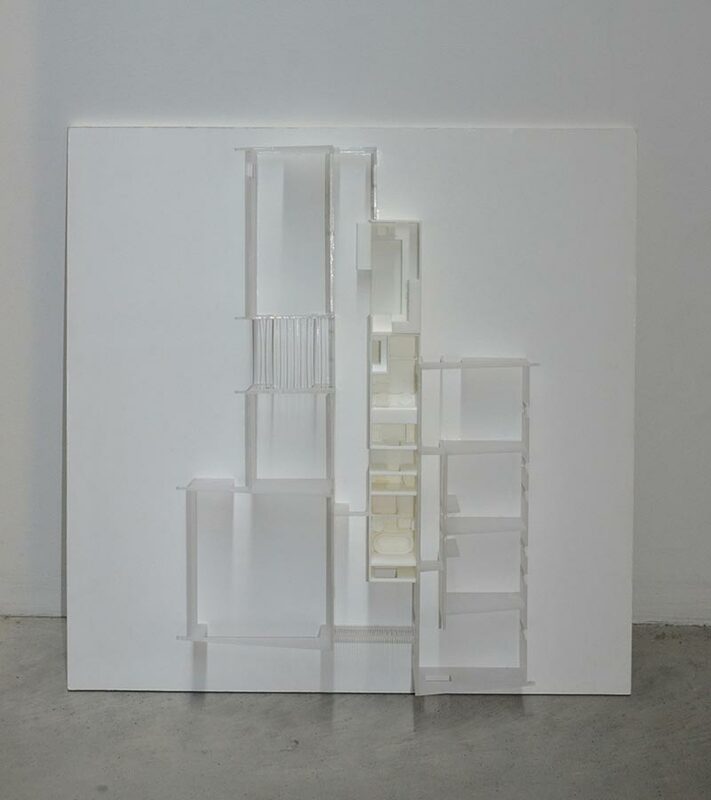 Part Fab is an housing research project developing highly flexible housing models using a hybrid construction system of prefabricated and panelised components. 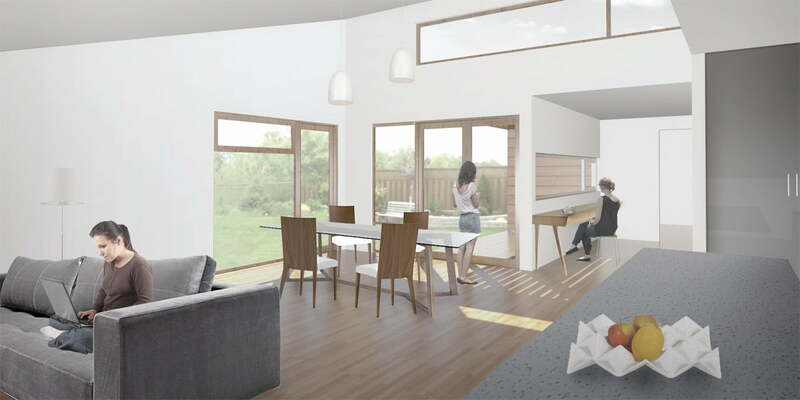 Part Fab: Quicksmart uses a construction system combining prefabricated and panelised components to improve the flexibility, affordability, environmental performance and amenity of the detached home. Quicksmart Homes, a New South Wales based housing provider, approached Workshop Architecture and Zilka Studio to develop an innovative detached house using the environmental and cost benefits of part prefabrication and panellised construction. 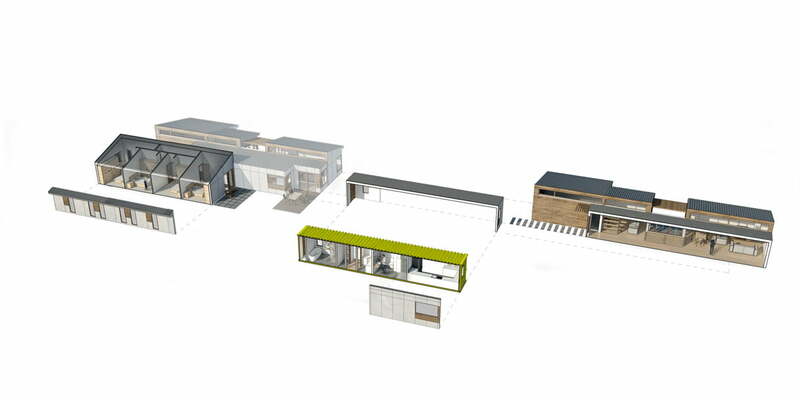 Central to this system is the ‘Wetbox’, a pre-fitted shipping container that includes the kitchen, bathroom and laundry facilities. 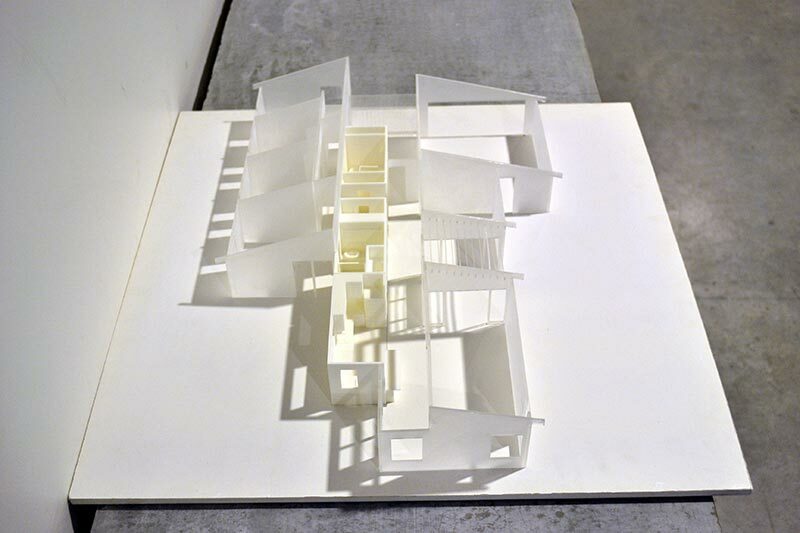 Our research investigated, through prototype designs, how the fixed unit of the container could provide flexibility in the use of the house, as well as respond to different site orientations. 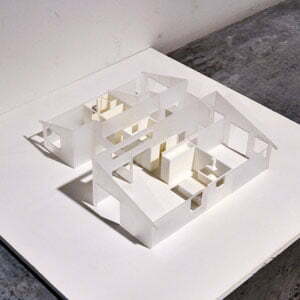 In developing these new housing models, their designs needed to respond to the current and future demographics of their location in South Coast New South Wales. The centrally located ‘Wetbox’, works as a service core to house, the bedrooms and living spaces carefully arranged around it to maximise the flexibility of use . Manufactured off-site, the ‘Wetbox’ provides a speed of construction and a high level of finish. Used in combination with highly efficient, environmentally sustainable SIPS (Structural Insulated Panels), the construction offers high levels of insulation, and the benefit of the structural ‘Wetbox’ allows for minimal piling. 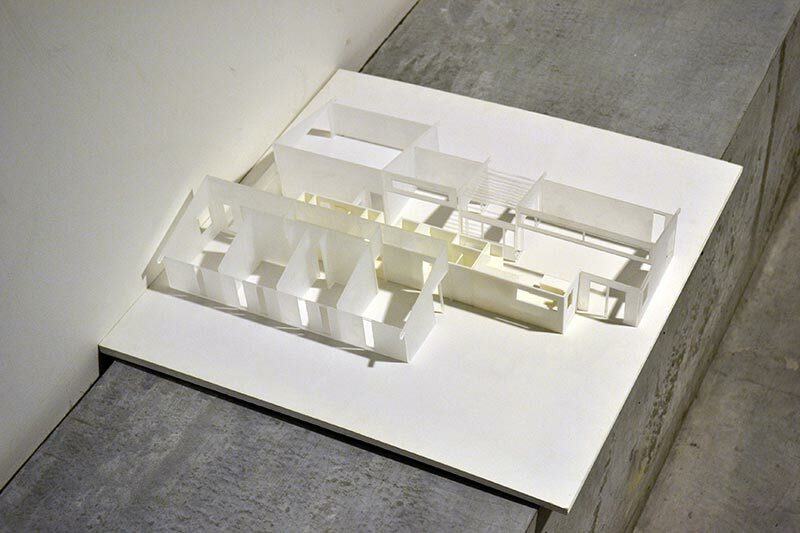 Rather than conceal this spatial and functional composition, it is expressed on the front elevation of the building, the ‘Wetbox’ core an axis of entry and circulation, as well as a structural support to the adjacent rooms’ floor and roof. 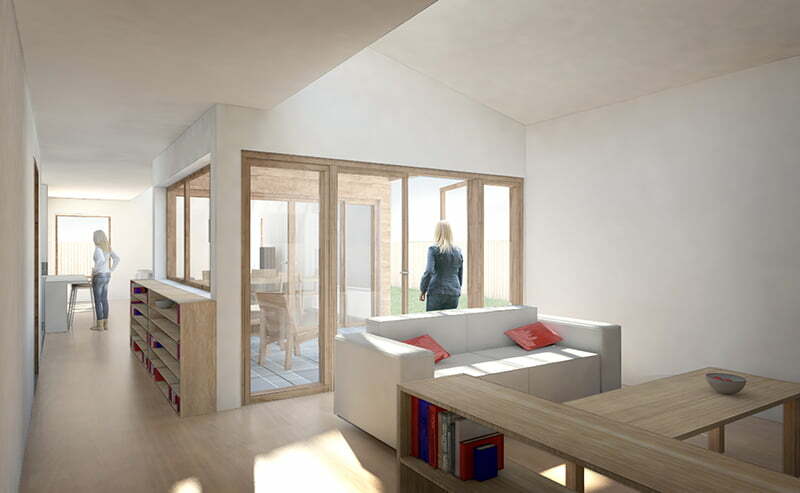 Part Fab: Cantabrian features an ingenious construction system that provides a highly efficient and flexible house, within an overall small footprint. 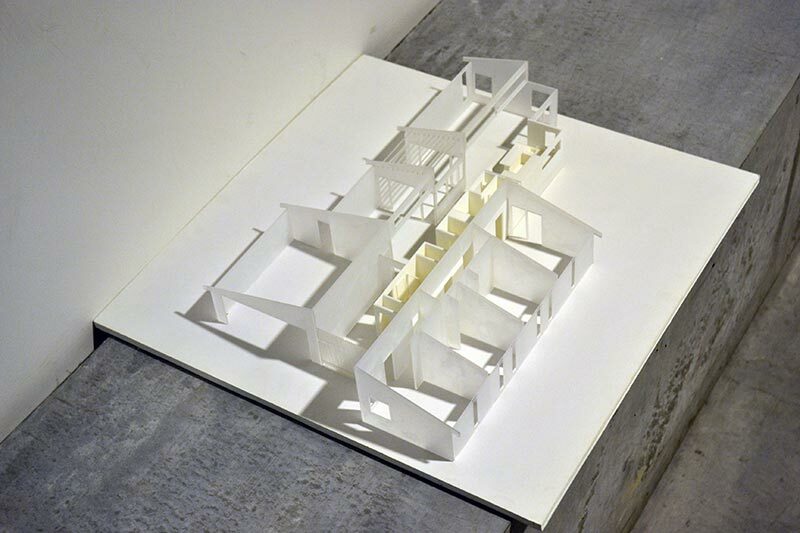 A model for new housing in liquefaction affected areas of Christchurch, it features a ‘Wet-box’ pre-fitted kitchen and bathroom container unit. This central core supports the remaining areas of the house, which are constructed using manufactured floor and wall systems. The success of any housing model is in its ability to respond to the changing demands of the users over time. 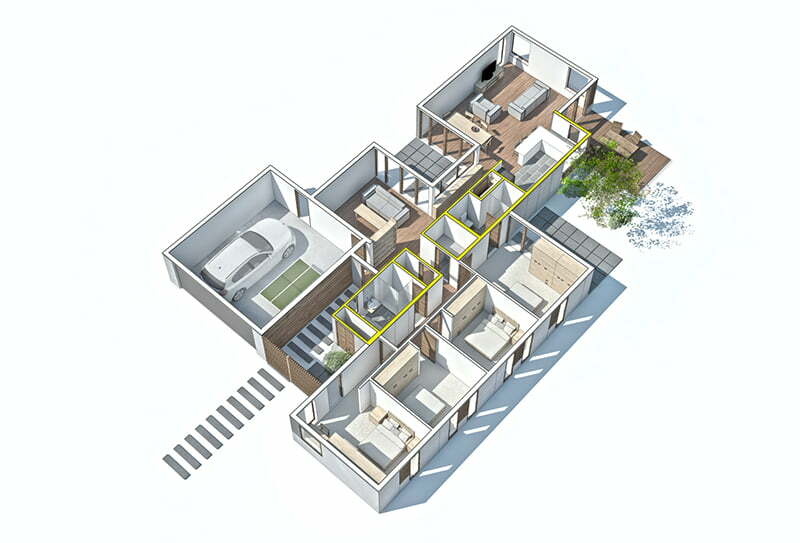 We have focused on providing a house that gives the user the ability to adapt the spaces to their changing demands. The most flexible rooms in a house are its bedrooms, and by locating these rooms in different locations and combinations, they are able to take on different uses with little or no modification to the house. The front bedrooms can operate as work spaces or as a semi-independent living unit. The rear bedroom can also suit the current fashion of media rooms, or become a separate dining space. 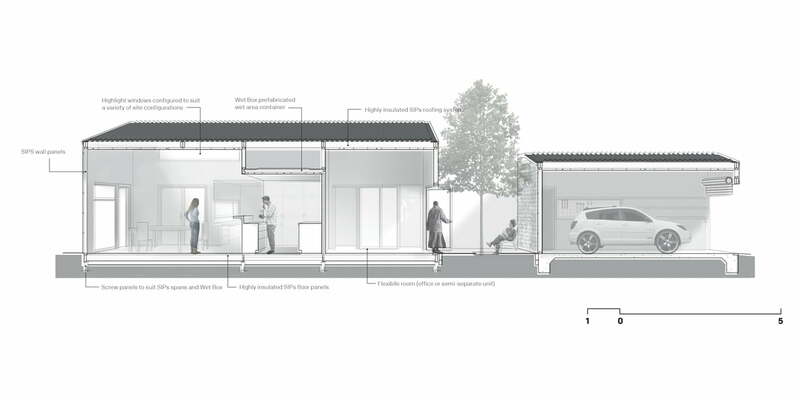 Such flexibly anticipates the needs of an ageing population, but also the diverse conditions of the contemporary house; one that can be a workplace, a family home, a inter-generational dwelling or contain multiple households.